Over the last few weeks, Ortwin has been working on something that is rather sentimental to him and hopefully, to the person which it’s being gifted to as well. Jo, his oldest daughter, left home 2 years ago to begin a Patisserie apprenticeship in Germany. Yesterday, after dedication and determination, we were proud to say that she finally finished what she started! We have all watched Jo’s talent and passion grow. For those of you that don’t know, Jo has always loved baking. Year after year, before the festive season, she would be the one to dedicate her time to decorating our Christmas window by baking the most intricate structures. 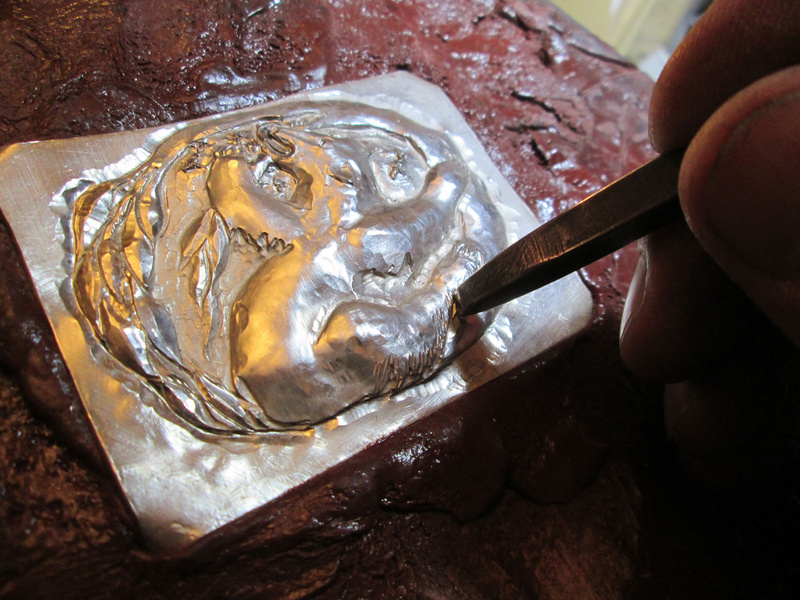 Her last work involved a gingerbread jeweller’s workshop with a functioning train set, surrounded by a snow landscape. It was truly beautiful and because of Jo, Christmas at Thyssen was always a very merry Christmas indeed. But yesterday, she surpassed anything that she’s ever done here with us. 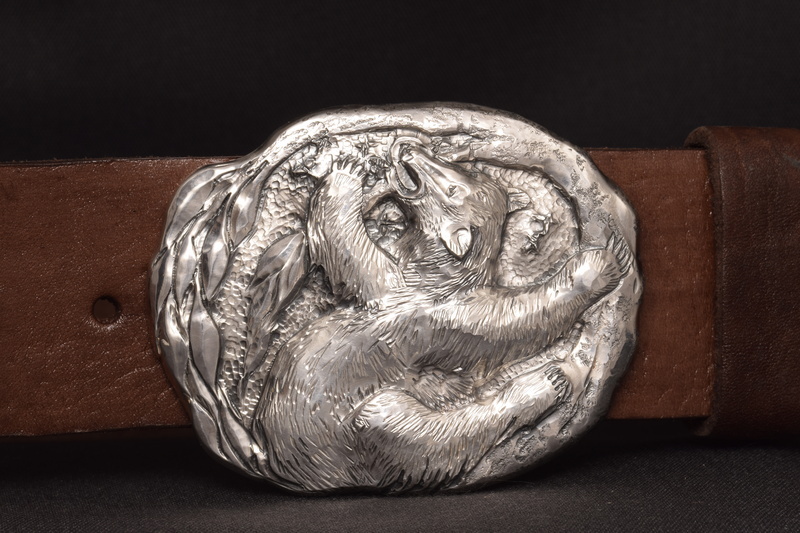 To congratulate Jo on her brilliant achievement, her father is gifting her with a silver bear belt buckle. Ortwin found the bear, which is shown to be stealing honey from a tree, to be humorously appropriate for this milestone seeing as Jo’s cakes are just as sweet as honey. 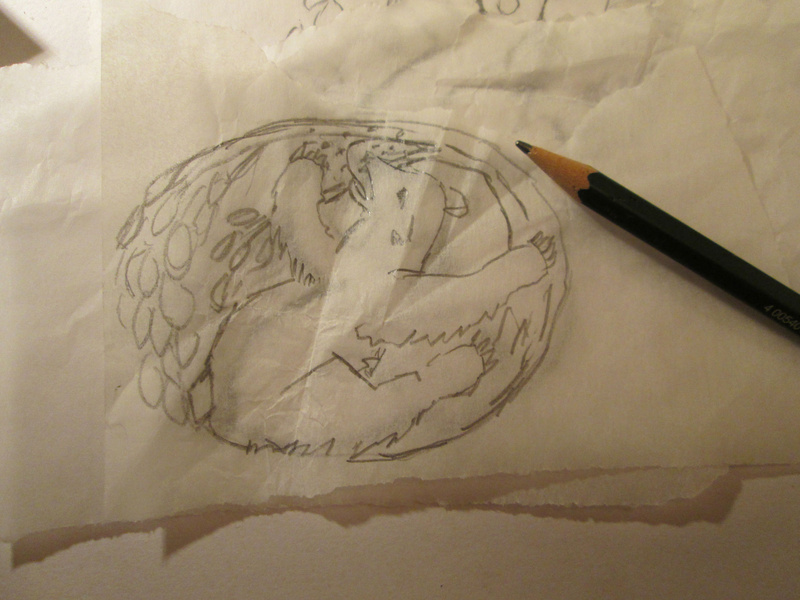 At first, Ortwin sketched multiple bear designs on tracing paper until he sketched the perfect bear for Jo. 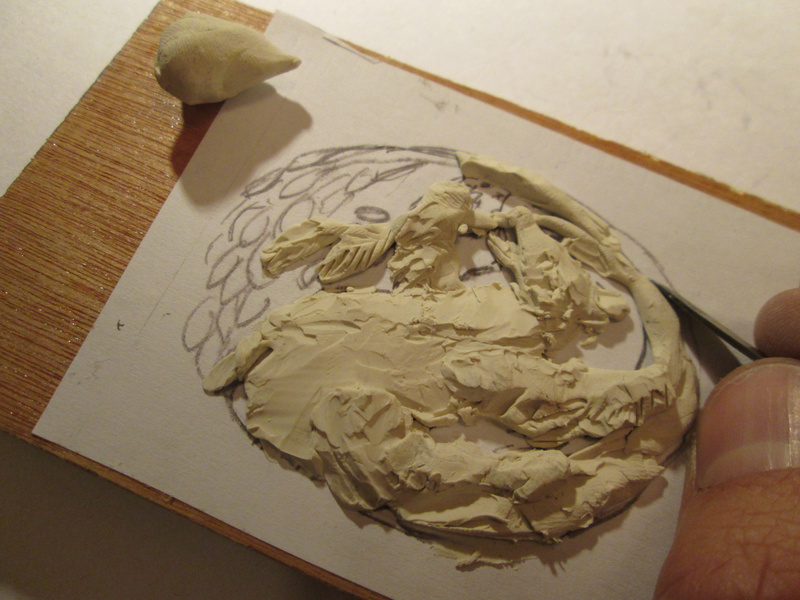 Ortwin then made a plasticine sample of the bear design to get a feel for how it would look. 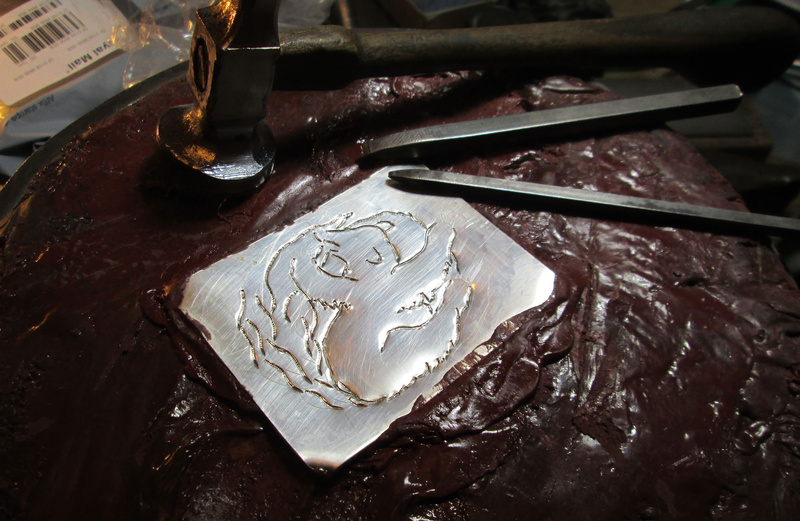 Using guache and carbon paper, the drawing was transferred to the silver and scribed onto the metal. 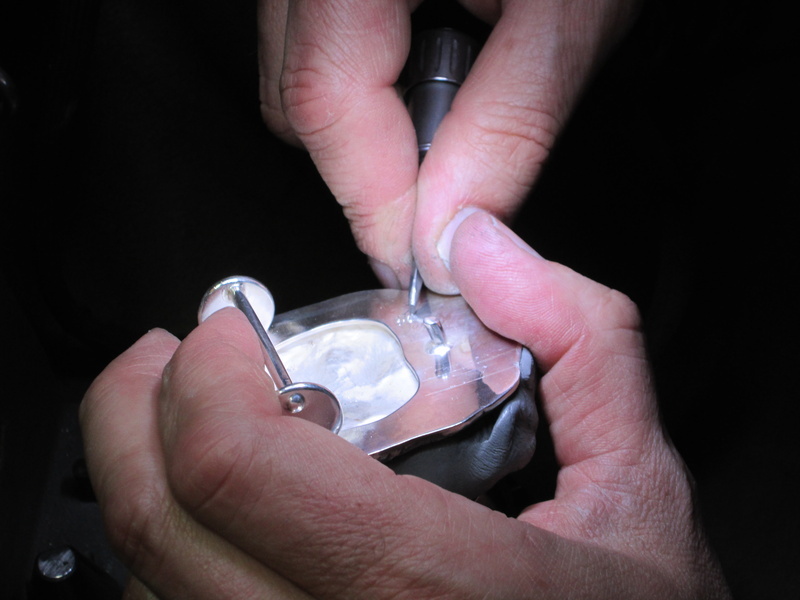 Using a punch, Ortwin traced the initial lines onto the front to define the shape. 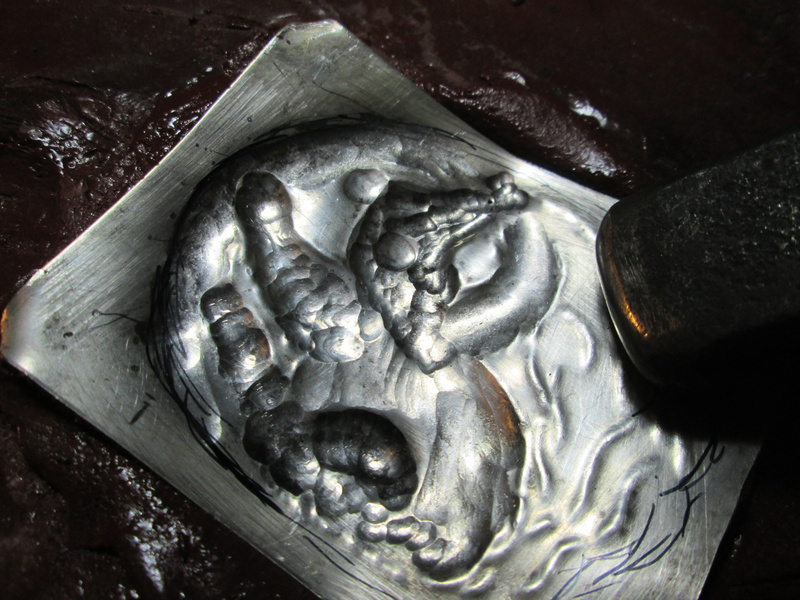 The sheet of silver was set up on its back and Ortwin then shaped it using round punches. 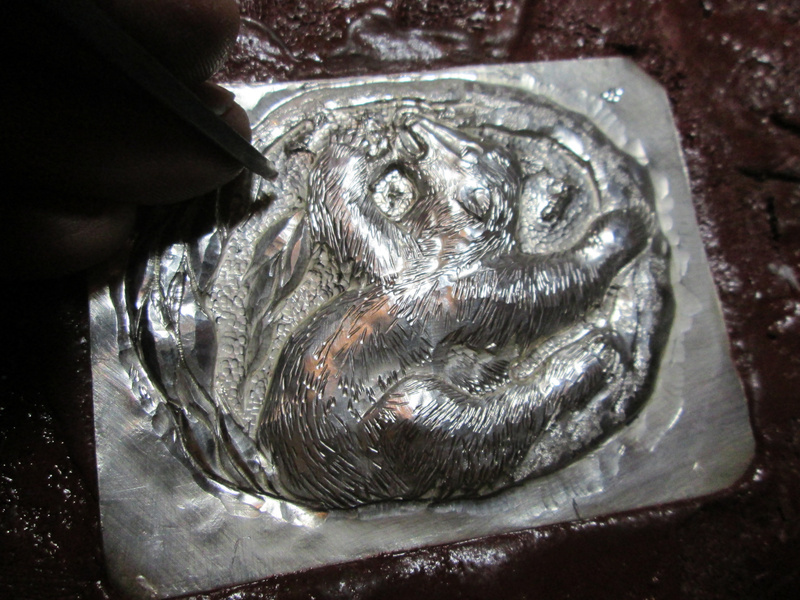 To keep the silver soft, Ortwin annealed it. 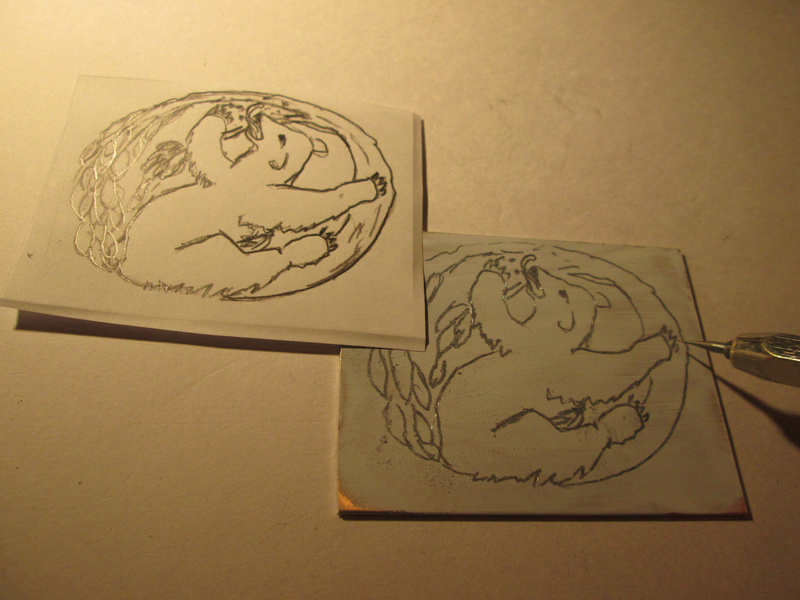 The bear was then set in the pitch with the front facing upwards. Ortwin ironed out the spaces in order to separate the different shapes between the bear, trees and bees. 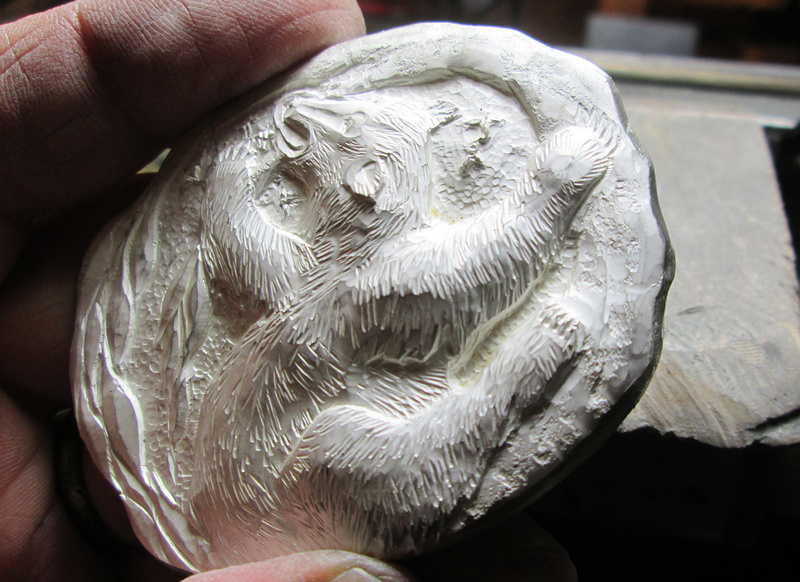 The final step in the pitch was to finalise the fur, paws, bees and background using corresponding punches. 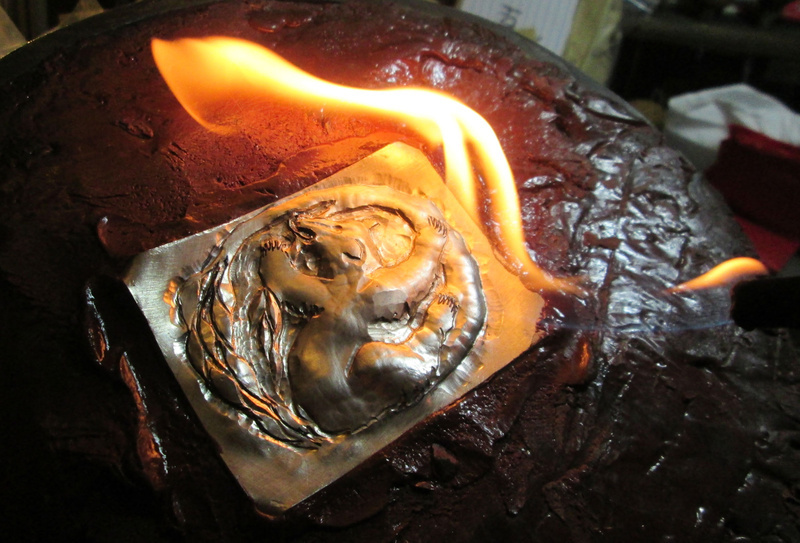 Ortwin soldered a pierced out sheet of silver in order to make it stronger. 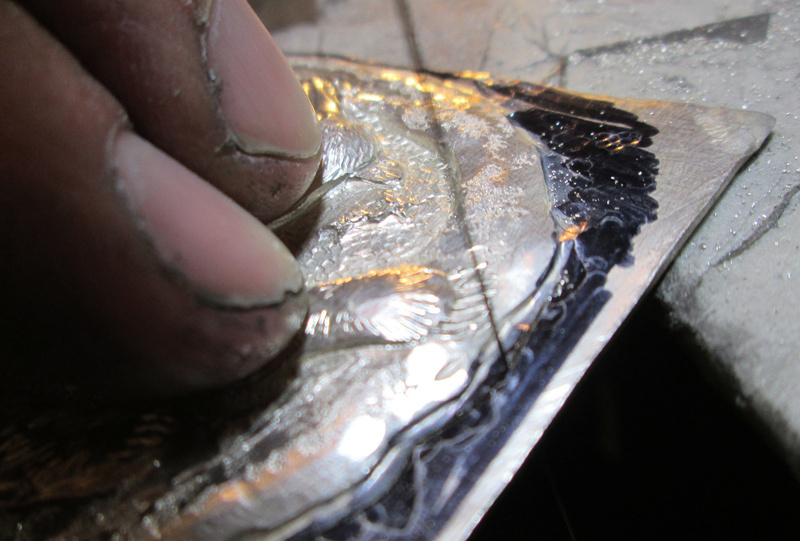 The final steps were then to cut it out, solder on both the pin and hook and file it. 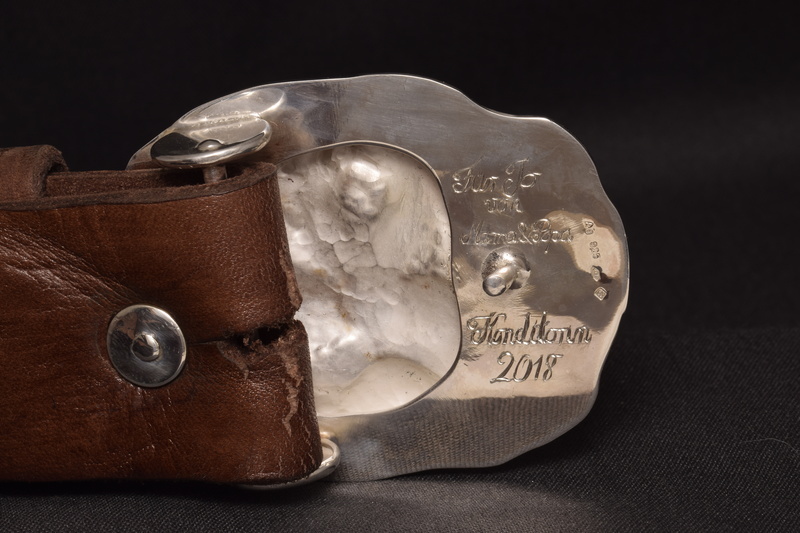 Ortwin then annealed, pickled, scrubbed and polished the buckle. Finally, Ortwin engraved the words “Mit Liebe von Mama und Papa,” which means with love from Mom and Dad in German. To you Jo, the team here at Ortwin Thyssen Master Jewellery Makers sends you very big congratulations on all of your accomplishments. Your passion shows and all of your hard work has paid off. We wish you a bright future ahead.